The conducting state of a quasi-two-dimensional electron gas (q2DEG), formed at the heterointerface between the two wide-bandgap insulators LaAlO3 (LAO) and SrTiO3, can be made completely insulating by low-energy, 150-eV, Ar+ irradiation. 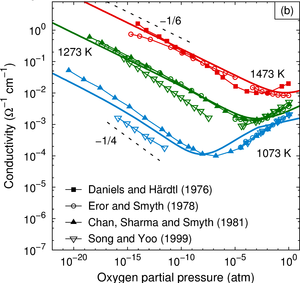 The metallic behavior of the interface can be recovered by high-temperature oxygen annealing. The electrical transport properties of the recovered q2DEG are exactly the same as before the irradiation. Microstructural investigations confirm that the transition is not due to physical etching or crystal lattice distortion of the LAO film below its critical thickness. They also reveal a correlation between electrical state, LAO film surface amorphization, and argon ion implantation. The experimental results are in agreement with density functional theory calculations of Ar implantation and migration in the LAO film. This suggests that the metal-insulator transition may be caused by charge trapping in the defect amorphous layer created during the ion irradiation.